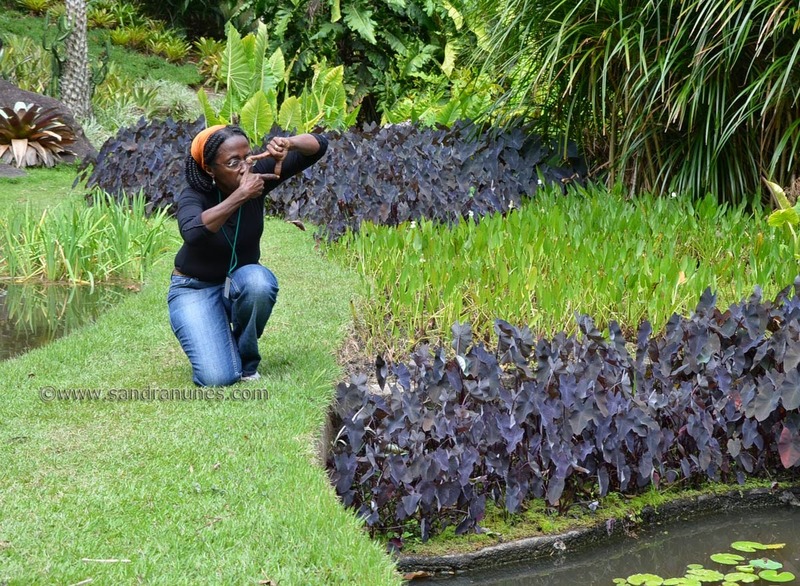 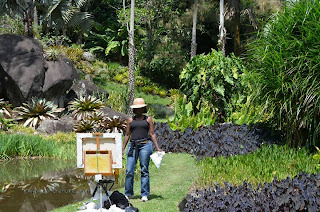 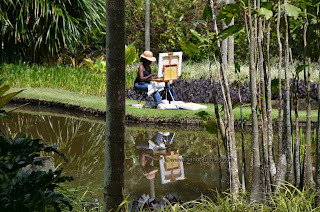 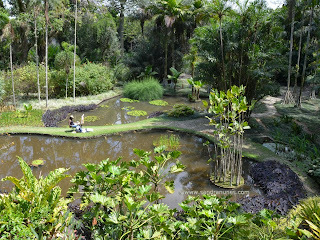 Roberto Burle Marx´s house is a drem of any landscape painter. 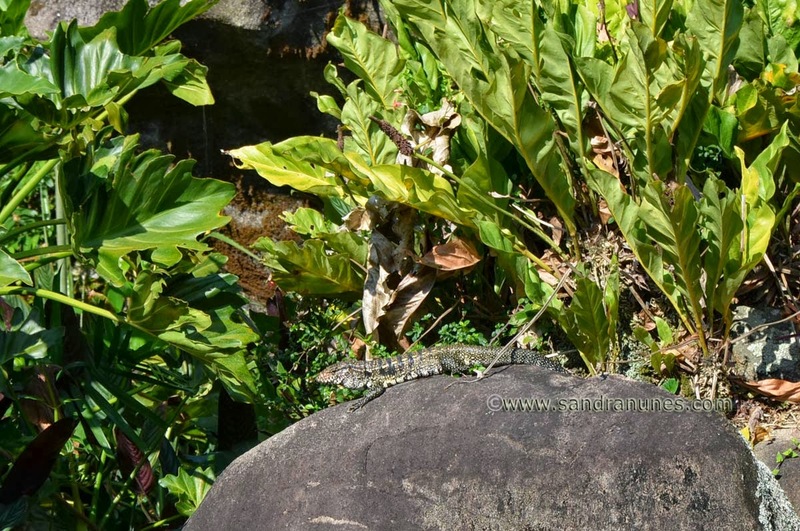 A local inhabitant came to enjoy the warm early Spring sun! I must stand up from time to time to evaluate from a distance. I´m sorry for the glare, I don´t have a better photo of the finished painting by now. 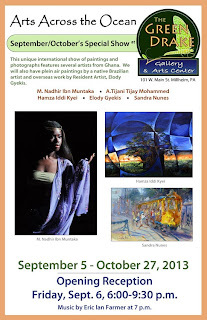 I left it there in exhibition until October 21st. 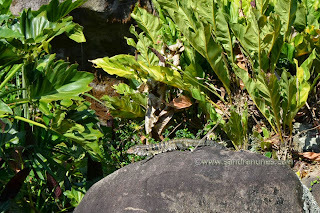 Once more we were blessed with a bright sunny morning. It is late winter, Carioca style! At first , the choice of Leme Beach as a location for this year´s Paint Out seemed at least a crazy idea! 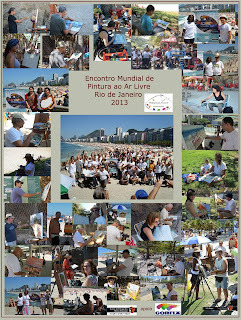 Sunny Sunday morning at any beach in Rio is really crowded. 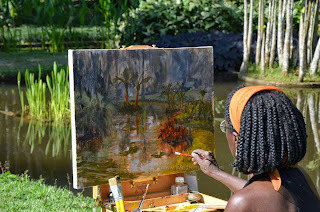 But it was wonderful! Artists and bathers mixed beautifully: easels, canvases, colorful beach parasols, a real feast for the eyes! Professional artists,students, amateurs, from Rio de Janeiro and neighbor cities joined us this year to celebrate plein air painting. 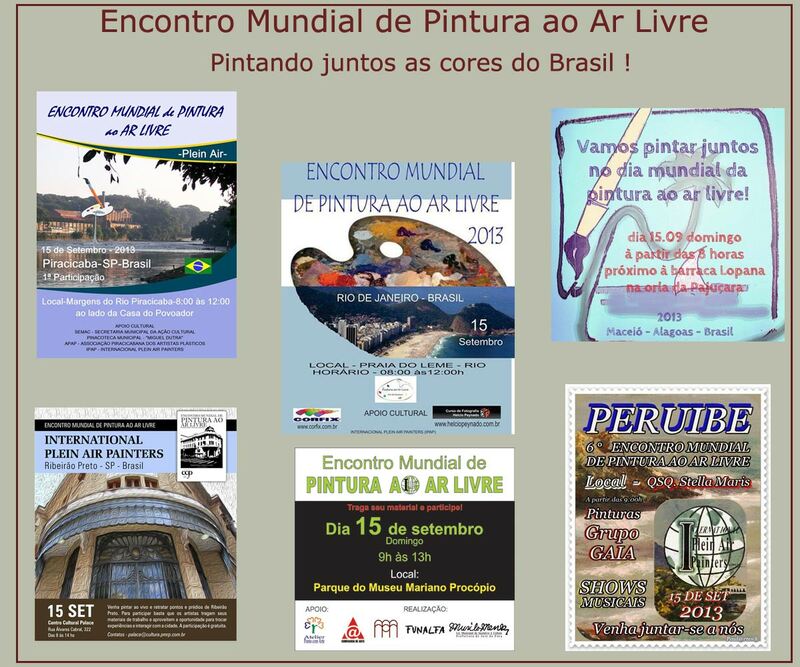 Some of them traveled from even more distant places like Brasilia (more than 1000 km far fom Rio) and Belo Horizonte ( more than 350 km). 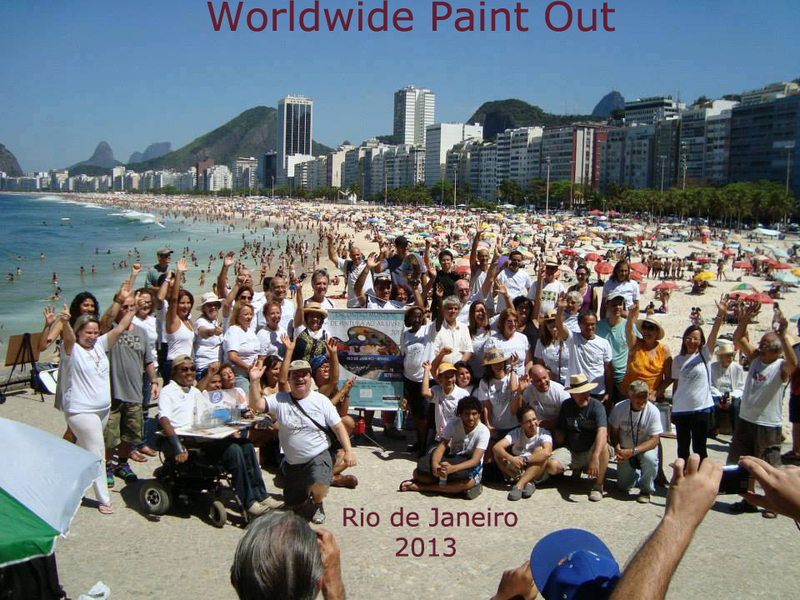 The Worldwide Paint Out is attracting a lot of attention since we joined it in 2004 with a small group. 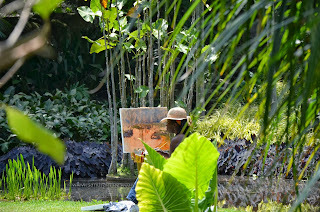 It represents to me more than a sensorial experience. 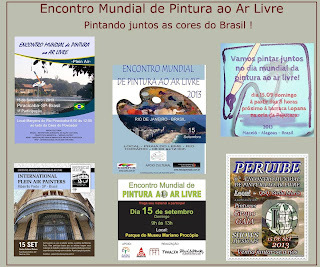 Coordinating this event in Rio de Janeiro and giving support to other artists who want to do it in their locations, legitimates the concept of Collective in which I believe. 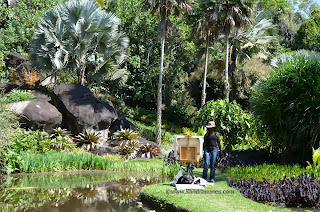 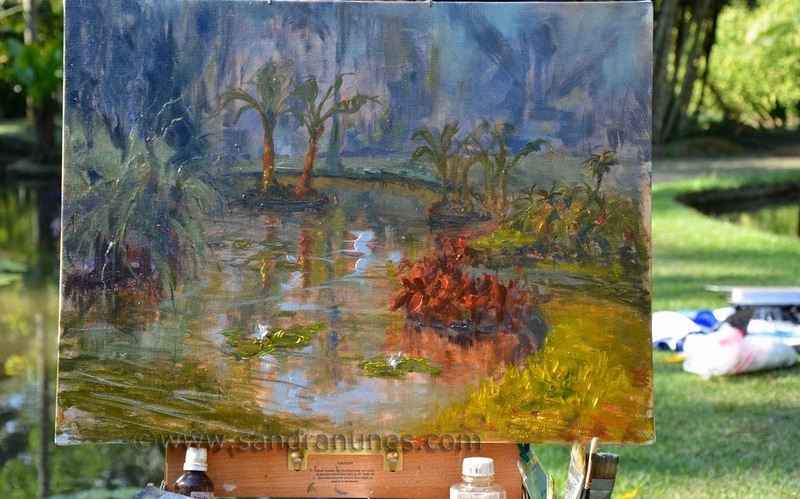 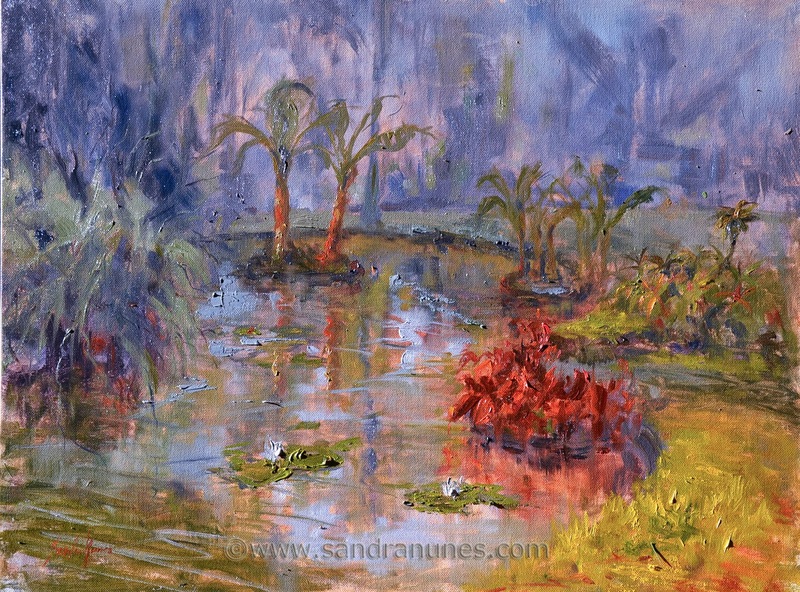 It is as if the world were a huge canvas united by the passion for Plein Air Painting. 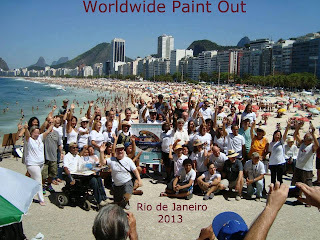 This year Praia do Leme was the site of choice for Rio de Janeiro Worldwide Paint Out 2013. 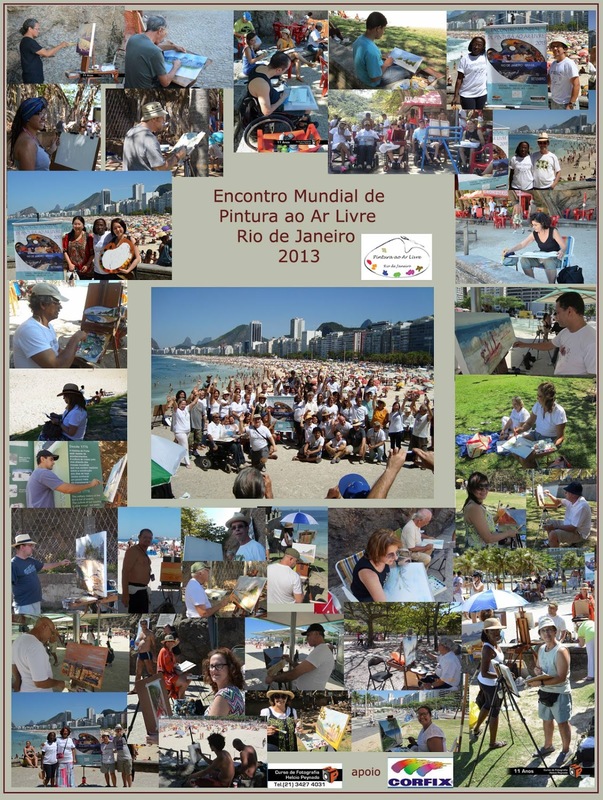 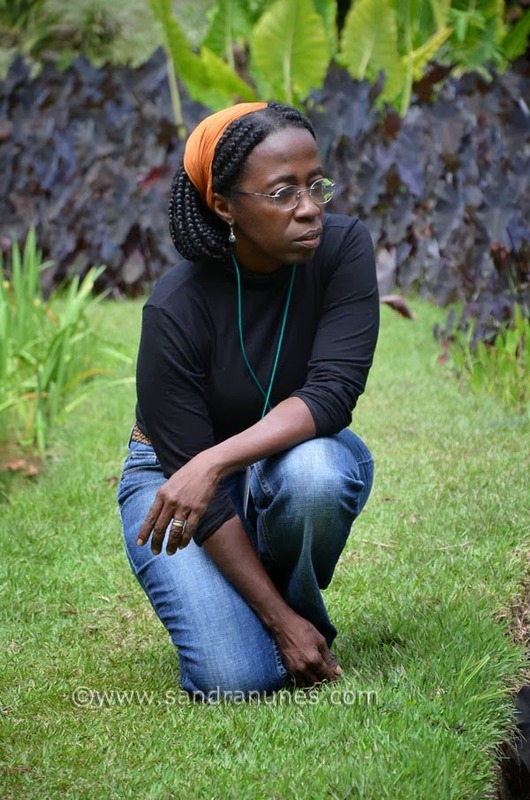 Since 2004 Rio de Janeiro have been joining this worldwide event attracting each time a greater number of artists who come from other estates and neighbour cities. 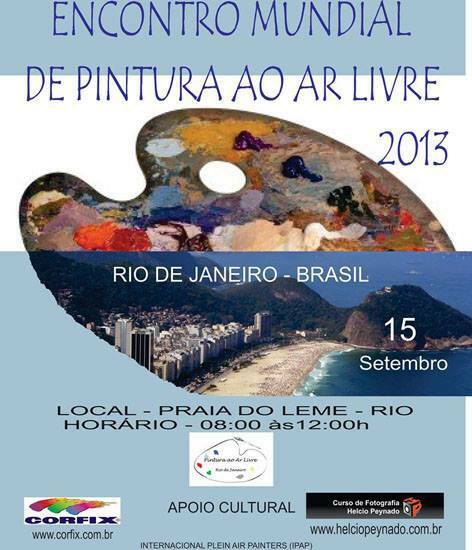 Artists from Brasília, Belo Horizonte and são Paulo are expected this year to join us. 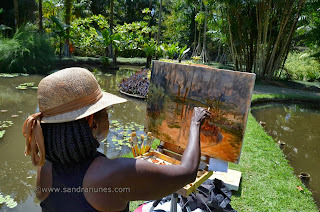 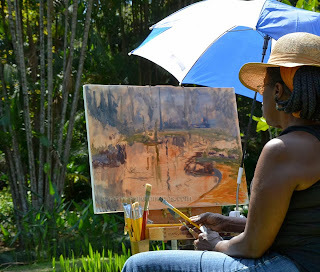 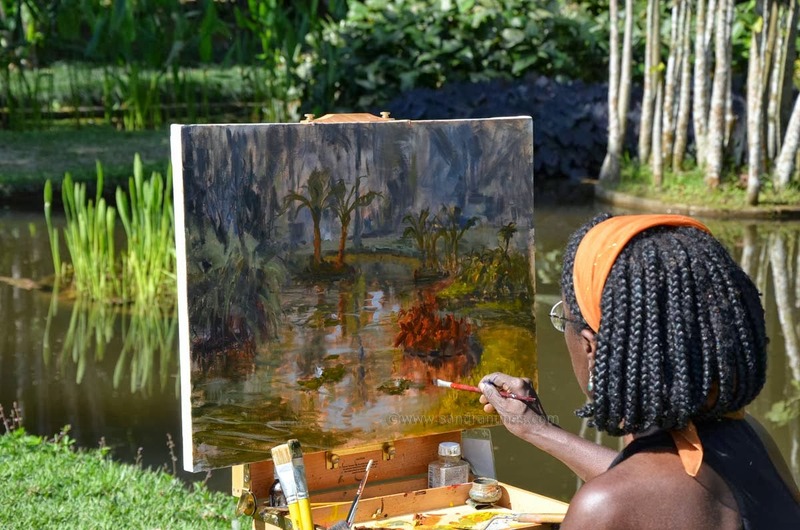 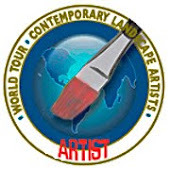 I´m very happy to see this event spreading in Brazil, like in other countries, contributing to the visibility and appreciation of Plein Air Painting! 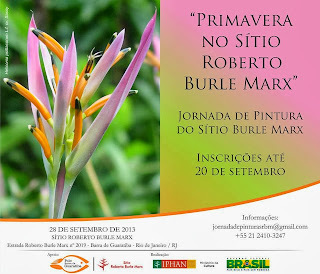 If you are in area don´t miss it!